Unsurprisingly, dentists across the nation have lots of questions and concerns when it comes to their patients' dental plans, benefits and third-party payers. From pre-authorization headaches to refund requests, dental benefits can be a confusing topic to navigate. Most dentists would rather be in the exam room, doing what they were trained to do in dental school, rather than trying to decipher benefits rules and policies. This is where the team of experts at the ADA Center for Dental Benefits, Coding and Quality within the Practice Institute really shine. They continually receive and address a wide array of dental claim submission and adjudication questions from member dentists and practice staff members. Of course, there are specific concerns, unique to one dentist in one practice, but, generally speaking, the team receives similar questions that come in from across the nation. If a dentist has contracted with a third-party payer, they likely have agreed to abide by the carrier's processing policies. The trouble arises when dentists are not aware of these policies and procedures or even know where to find information on them. This, of course, makes it difficult for the dentist to have a clear understanding of their contractual obligations. The ADA Contract Analysis Service is a part of the ADA Division of Legal Affairs. The service is available free of charge to members who request a review. Frequent questions arise around four little codes that frequently prompt claim denials: D4341 and D4342 for periodontal scaling and root planing; D4910 for periodontal maintenance; and D2950 for core buildups, including any pins. The Council on Dental Benefit Programs has developed a written policy for members called Responding to Claim Rejection at ADA.org/claimrejections. The ADA policy is based on the notion that patients should receive the maximum allowable benefit from each plan. In total, the benefit should be more than that offered by any of the plans individually but not such that the patient receives more than the total charges for the dental services received. For more information, visit "ADA Guidance on Coordination of Benefits" at ADA.org/coordination. 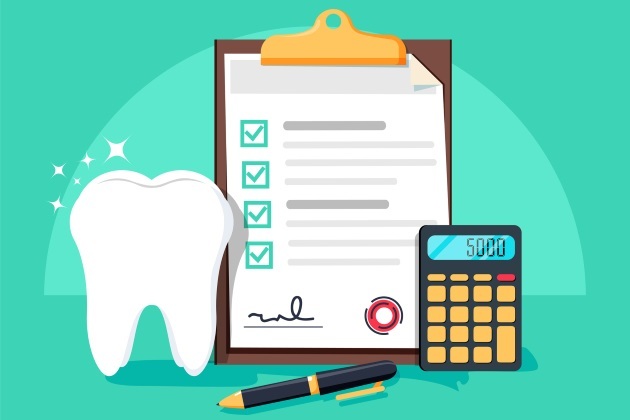 Team members from the Center for Dental Benefits, Coding and Quality can help member dentists with their insurance-related problems, questions and concerns. They can be reached at 1-800-621-8099.